They say that for one to experience life to the fullest, one has to think and live out of the box. Some go for travel adventures, some venture into a new hobby, while some try something new for the first time. It is these moments that define you and build you. And in a world where moments like these truly matter, having the perfect phone that captures how you innovate life matters. Welcome the new Huawei Nova 2i. Packed with a quadruple camera, a 5.9” Full View display, and a long-lasting battery life for only Php14,990 - this ultra-stylish phone will keep you lusting for life’s adventures. Capture, view, and share your life like no other with the Nova 2i. 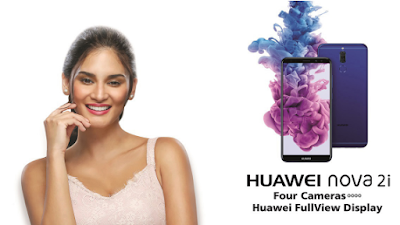 Visit over a hundred Huawei Experience Stores and partner retailers nationwide to avail the new Huawei Nova 2i. Also, starting October 21 to November 18, 2017, each purchase of Nova 2i in participating stores will come with a free speaker worth Php 2,990. A perfect early Christmas treat, right? You may learn more about this promo at bit.ly/EarlyChristmasPromo. 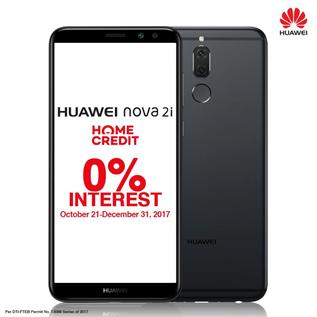 Lastly, treat yourselves this Christmas season with the Huawei nova 2i via Home Credit at 0% interest for 6 months without the need for a credit card. Promo runs from October 21 until December 31, 2017 in select Huawei Concept Stores nationwide. Visit Home Credit’s website for more information: https://www.homecredit.ph/. Live and lust for life with this phone that will allow you to innovate your life. See how Huawei Nova 2i can unlock your full potential at Facebook.com/HuaweiMobilePH and by following us at Instagram via @HuaweiMobilePH.